If you’ve ever been to a design conference, you understand that it takes a lot of work to impress some of the most critical people on this planet: web and graphic designers. Circles Conference is a two-day (or three if you stay for Splatterday!) creative event held in Grapevine, TX, organized by Ismael Burciaga (affectionately known as “Ish”), who pulls out all the stops when it comes to rolling out the red carpet for speakers, volunteers, and attendees. Having organized an event with 200+ attendees, I realize the scale and budgetary constraints that come with organizing a conference and doing it the right way. Some conferences can be intimidating to new or somewhat introverted attendees. A lot of people prefer small, intimate events over the SXSW-style mega-conference. Circles 2014 certainly felt more like a small intimate series of workshops even though the Palace Arts Theater played host to 525 attendees. There were a few things that really stood out to me as being quite different from your average conference. There are a lot of event organizers out there who wouldn’t even try to take on some challenging things like streaming video or additional seating in another part of a conference center. To most, they’re satisfied with just selling out all their tickets. But Ish isn’t satisfied with just “selling out,” he wants to make sure everyone who wants to be involved with Circles Conference can be involved, even from a computer on the other side of the world. To get more attendees into the official venue, Ish added a new “hangout pass” that allowed people to be at the venue but simply sit in another room during the sessions, watching on a video screen. These attendees participated in the rest of the event without restriction. In my opinion, this was a great way to get people involved even when the venue had run out of space, and also opened up the budget a little bit to make the conference even more special. People could also snag a Circles Live pass, which gave them access to a live feed and the uploaded videos after the event. Now, as we all know very well (see Apple’s iPhone 6 announcement) live streams don’t always go off without a hitch, as there were some streaming troubles early in the morning on day one, however, the team was able to correct these issues and get things back up and running. 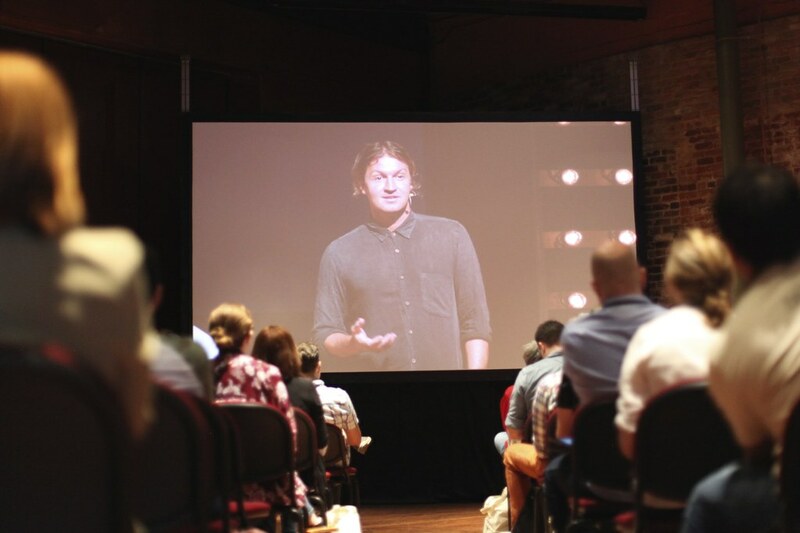 Live streaming a conference from a historic theatre built in 1940 isn’t without its own significant challenges but Ish put together a crack team that took care of all the hiccups and made uptime their #1 priority. One of the things that sets Circles apart is that they want people to connect outside of the sessions. There were three parties, a pre-party, an after-party, and a “goodbye” party. Each of them were private parties at venues near the theater and each had an eclectic mix of attendees eager to meet and share stories with one other. Three Lifters attended Circles Conference this year: myself, Matthew, and Caleb. At the after party, we couldn’t pass up the opportunity to snap some shots in the Circles after-party photo booth. Adding these parties to other conferences might seem a bit overkill, but for Circles, it seemed to be exactly what people were looking for. I was fortunate to meet some really lovely and interesting people at Circles Conference. In my opinion, this is a conference that is more about the people attending than the speakers. Now, don’t get me wrong, the speakers were phenomenal, but getting to know some of the attendees was by far my favorite part of Circles 2014. 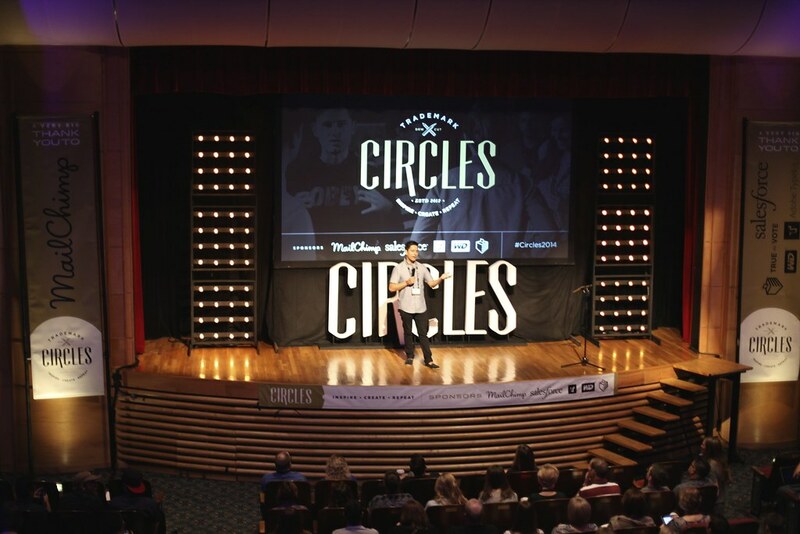 To many people, Circles Conference is one of a few events they attend every single year. For me, I’ve been to every one thus far and it has only gotten better each and every year. 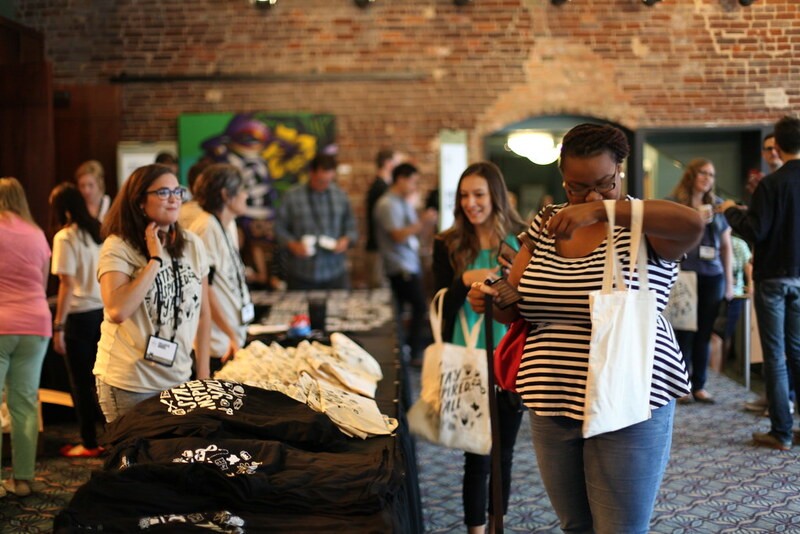 For Robyn, this is the first design conference she has ever attended. She explained to me that both her and her husband give themselves an “allowance” and that she had been saving hers to attend Circles Conference. She had collected part of the ticket price but needed a little bit of help to get all the way there. Then something awesome happened. Thanks to Circles Conference’s “Sponsor a Creative” program, another attendee, Brad Weaver, felt moved to help her get all the way to the full cost of a ticket to Circles Conference and chipped in the rest of her ticket price. Thanks x 100 to @SuckerpunchInc for sponsoring me for my @CirclesConf ticket this year! One of many reasons I know I am supposed to attend. In regards to last tweet, The Lord works in crazy good ways. Amen. Like royalty, in a single row seat again @sbradweaver ! GJ bound to my hubs after an amazing time. Grateful for your heart & generosity. If that’s not the true spirit of helping others step outside their world and experience something they wouldn’t otherwise be able to, I don’t know what is. Brad and Robyn are two different people from different parts of the country but are connected by design. They now share a bond as creatives that will last forever and that is exactly why this conference exists. 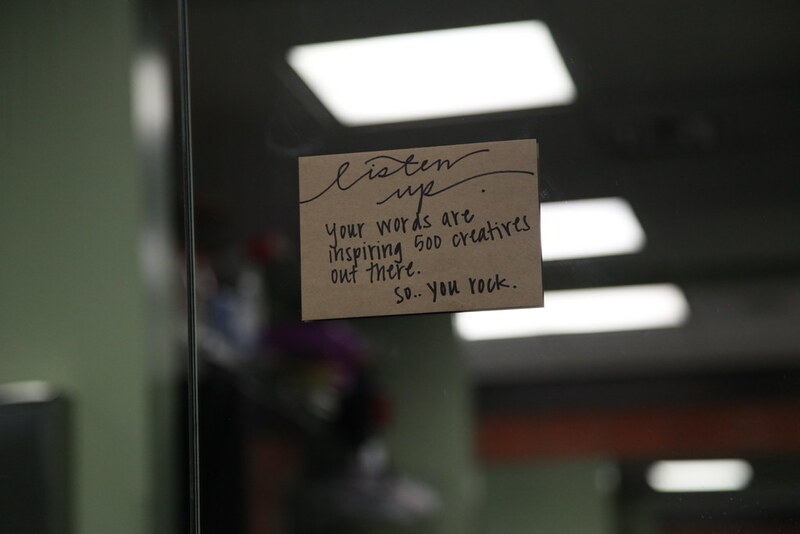 Danielle is just one of the many people at Circles who have an incredible journey that has taken them from the depths to the heights. It’s amazing to hear stories like hers and think about the power of design and how it can fuel us to not only make a living, but inspire others who are trying to do the same thing.